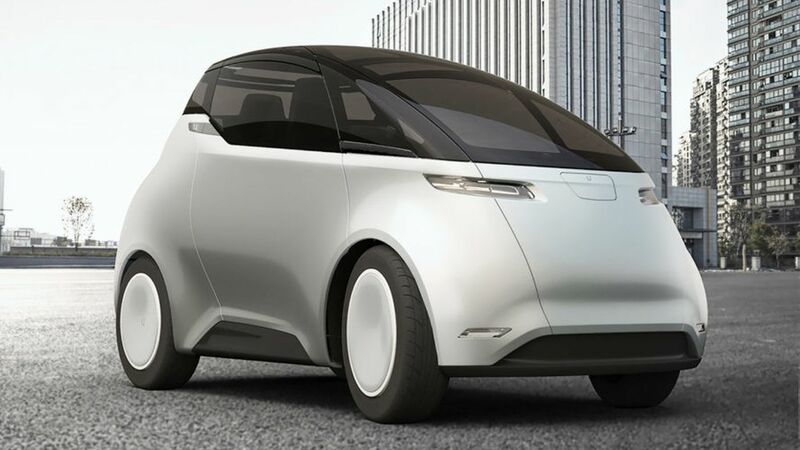 The Uniti is a small electric car designed for city driving–and its deal with a solar company makes charging it emissions- and cost-free. Most electric cars look essentially the same as gas-powered cars have for decades, with a battery swapped in place of an internal combustion engine. But a Swedish electric car startup argues that in the context of modern city life, the entire idea of a car needs more of a reinvention. Uniti, which launched a prototype of its tiny electric car today, started by rethinking size: If most people living in cities commute to work alone, over short distances, it doesn’t make sense to make an oversized, overpowered vehicle. Though the new car comes in models with four and five seats, it also offers a model with only two seats, which will retail at prices starting around $17,000. (Smart Car also makes a small electric model, though it’s slightly more expensive) The frame, made from carbon fiber, is much lighter than a traditional metal frame. The battery is small, at 22 kilowatt-hours versus 100 kWh in some Tesla models, but can last around 186 miles, much farther than a typical round-trip commute. An additional battery, which can be plugged into a regular outlet at home or a cafe, can be added to the car on rarer occasions when it’s needed. “So many new technologies, both for the vehicle and in terms of production methods, have become mature in recent years, so there was a clear opportunity to rethink the vehicle from the ground up in the context of this new technology,” Horne says. Shrinking the battery helps reduce the environmental impact of manufacturing an electric car. Using carbon fiber makes the car easier to manufacture, and streamlining that process also improves sustainability. While carbon fiber itself isn’t particularly sustainable, it can be recycled, and the company says bio-based carbon fiber may be an option in the future. Inside the car, the company already uses bio-based composite materials. Uniti estimates that the car will emit 75% less carbon across its lifecycle compared to other electric cars. Swedish customers (and soon, those in other countries) will also be able to charge Uniti cars for free at home, for five years, through a partnership that uses solar electricity, so the cars will have an even smaller carbon footprint. E.On, a European energy company, will buy solar energy to offset home charging, and the average cost of charging will be rebated from electric bills. In the longer term, the company wants to shift how people use cars. The Uniti car, which already includes features like an augmented reality dashboard and smartphone-like controls that you swipe instead of pushing buttons, is built with the ability for autonomous capabilities that could be turned on in the future as the technology develops. “This is something we can address with relatively simpler applications of autonomous technology, such as semi-autonomous ‘car on demand,’ which would mean that people don’t need to own the vehicle,” says Horne. “This is our long-term ambition.” It could eventually come pick you up in the morning at home and drop you off in front of your office, so you never think about parking. When you’re not using the car, it could be used by someone else, rather than sitting unused for most of the day. Self-driving, shared vehicles could help reduce the number of cars in cities, something that a growing number of cities are trying to achieve. But if cities aren’t completely car-free–or don’t reach that goal for a long time–replacing conventional cars with this type of car could solve many problems.